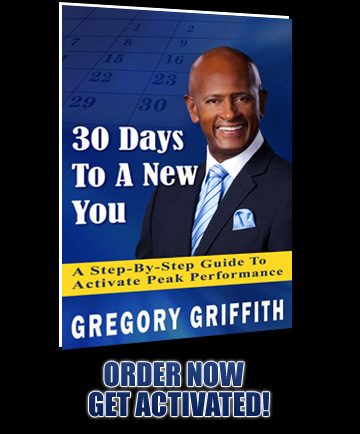 Renowned motivational speaker, Gregory Griffith, who has pooled his years of experience as a teacher, marathon runner and successful musician, has created another 30-day plan to jump-start your life. 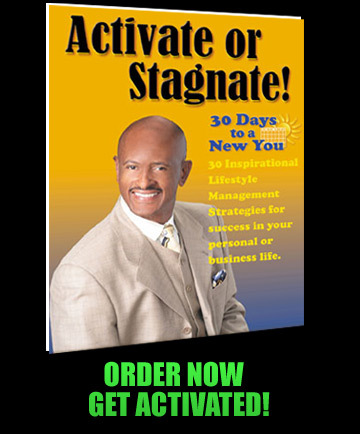 "30 Days To A New You" is the highly anticipated follow-up to Greg's previous book, "Activate or Stagnate." This new book is a step-by-step guide to activate peak performance skill sets for success. Discover innate strategies to utilize developed but untapped abilities to increase your quality of life mentally, physically and spiritually. "There weren't the multiplicity of options available to a kid in the sixties like we have for our children in our present day and time. I recently watched an evening news segment that quantified my point. The report took a survey of kids who were tech savvy. They were computer literate, owned an ipod and video game of choice. Their parents had internet access. These kids frequently accessed Google for information. The hypothesis was created from this question: Are kids now lazy because of technology? Are they less creative? The report seemed to indicate that kids don't have to think. Google does it all. They don't have to be as creative. Their cognitive domains are bombarded with quick access to information with minimal need to exhibit retention or recall. Just log back on to Google! The report ended with a question that creates curiosity. Are kids of the technology age as creative as we were in the sixties? By now you're probably trying to grasp my analogy to reality. What does this have to do with the title of this book? 30 Days to a New You is a challenge to take all of your cognitive skills and environmental contacts and utilize them to be a peak performer like the kids of the sixties. Peak performers are creative visionaries. Now that we're adults and our parents aren't the masterminds of our futures, it's a month to month, year to year challenge to expand the paradigm." Renowned motivational speaker, Gregory Griffith, who has pooled his years of experience as a teacher, marathon runner and successful musician, has created a 30-day plan to jump-start your life. Do you feel you're exhibiting your optimum physical appearance? Are you disciplined about exercise? What are you fueling your tank with? Are you aware of the consequences of ignoring the physical? Have you simply forgotten that everything starts with the physical? Are your goals set to achieve greatness with the skills you presently possess? Do you feel that you're ready to meet the mental challenge? Will fear of failure be the winner? Are you a peak performer? Are you honestly trying to mentally expand? Are you in touch with the source? Have you discovered where the real power is? Do you know how important the creative you is to your success? Are you being unique or just trying to blend in? Are you utilizing your inner perspective to grow from every external challenge?